This overview is the second half of Robert Reilly’s series that examines the types of intellectual property analyses, different standards of value that may apply in valuation as well as the alternative types of intellectual property ownership interests and the alternative terms of intellectual property ownership interests. Finally, it offers a discussion regarding the factors that the business appraiser may consider in the specific identification of intellectual property. All intellectual property valuations can typically be classified into one of three categories: transactional, notational, or controversy. This classification primarily describes the purpose of the valuation and typically does not affect the quantitative value conclusion. This classification will, however, likely affect the content and format of the valuation report. A transactional valuation is usually prepared to convince a buyer or seller, a licensor or licensee, or a debtor or creditor to enter into a transaction. The transaction could involve a purchase or sale of the intellectual property—a license, an investment or joint venture agreement, a development or commercialization contract, or an asset-backed financing. The transactional valuation is intended to recommend a transaction price or to analyze the fairness or adequacy of the price, license royalty rate, terms, and so on, of a contract. In any event, in a transactional analysis, an actual transaction is pending. One or more participants will make an investment based on the transactional valuation. Simply put, cash (or other valuable consideration) will change hands based on the transactional valuation conclusion. A notational valuation is typically prepared to satisfy a regulatory, accounting, or contractual requirement. Usually, there is no pending sale, license, financing, or other transaction. If there was a transaction involved in a notational analysis, it was already consummated. In that case, the notational valuation may be required to record the completed transaction in the accounts of one of the parties. A notational valuation may be needed to prove that a completed transaction did not result in a favorable economic benefit to one party at the expense of another party, or the notational valuation may be required to comply with an accounting or contractual disclosure requirement. In a notational analysis, no actual transaction is pending. The results of the notational valuation may be recorded on the owner/operator’s (or some other party’s) books and records. No party will make an investment based on the notation valuation. No cash (or other valuable consideration) changes hands based on the notational valuation. This fact should not imply that the notational valuation is less important than the transactional valuation, nor should this statement imply that the appraiser can be less careful or comprehensive in the notational valuation than in the transactional valuation. But these two types of valuations will be used for different purposes, and, thus, the parties who read these two types of valuations will place different levels of reliance on these valuations. A controversy valuation is typically prepared in a threatened or pending lawsuit (or other type of dispute). The lawsuit may involve a breach of contract claim or a tort claim. In a controversy valuation, there is no pending sale, license, or financing transaction, and there is no accounting disclosure or other regulatory requirement. One party is claiming damages (related to lost profits, lost royalty income, or lost value) due to the alleged wrongful action of another party. In a controversy valuation, it is typical to expect that there will be more than one intellectual property valuation. There will likely be a valuation prepared by appraisers retained by each party to the controversy. These valuations are often supported by expert witness testimony and are often subject to rigorous contrarian review by opposing experts and by opposing legal counsel. These controversy valuations are also typically reviewed and relied on by the finder of fact in the dispute. At the inception of the engagement, the appraiser should develop a clear understanding of the type of opinion sought by the client or counsel. It is preferred for the appraiser to document this understanding in a written engagement letter. That engagement letter should reduce the likelihood that the client or counsel will expect one type of economic opinion and the appraiser will deliver another type of economic opinion. Valuation opinion. 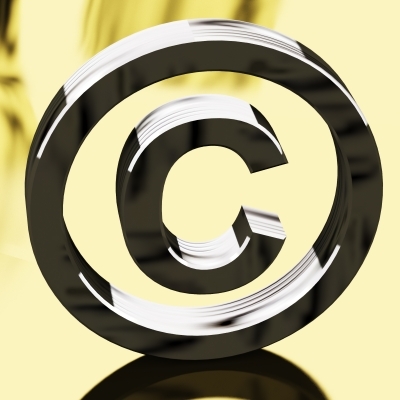 The appraiser opines on the defined value of the specific intellectual property as of a specific date. Fairness opinion. The appraiser opines on the fairness to a defined party, and from a financial perspective, of a specifically defined intellectual property sale, license, or other transfer transaction. Solvency opinion. The appraiser opines on the solvency (or insolvency) of an owner/operator after considering the effect of a leveraged transaction (for example, a leveraged purchase transaction) or other transfer (for example, a distribution or other transfer of the intellectual property). Private inurement opinion. The appraiser opines that a not-for-profit entity (1) did not pay more than fair market value to buy or inbound license an intellectual property; or (2) did not receive less than fair market value to sell or outbound license an intellectual property. Economic damages opinion. The appraiser opines on the amount of lost profits, a fair royalty rate, or some other measure of economic damages suffered by the owner/operator due to a breach of contract or a tort action. Transfer price opinion. The appraiser opines on an arm’s length price (ALP) related to the intercompany transfer of intellectual property (called intangible property for income tax purposes) between controlled entities of a multinational owner/operator. License royalty rate opinion. The appraiser opines on the royalty rate that independent third parties would agree to in an arm’s-length license negotiation. Exchange ratio opinion. The appraiser opines on the relative values (and the related value exchange ratios) of two independent bundles of intellectual property. Exactly what is the objective of the opinion? Exactly what is the purpose of the opinion? What is the intellectual property that is subject to analysis? What is the bundle of legal rights that is subject to analysis? What is (are) the relevant analysis date(s)? Who will receive and rely on the analysis? What is the appropriate format and content of the analysis report? What are the specific judicial or regulatory requirements that the appraiser should comply with? The appraiser should recognize that each of the listed types of opinions relates to a different type of analysis. For example, there are different approaches, methods, and procedures that are appropriate for a valuation versus damages analysis versus transfer price analysis. The appraiser’s selection of these approaches, methods, and procedures may be influenced by (or controlled by) the relevant statutory authority, administrative rulings, or judicial precedent. The appraiser should seek, and accept, legal instructions from counsel when performing an intellectual property analysis for litigation purposes. Whether the dispute relates to a breach of contract, a tort, or another area of the law, the appraiser may need legal instructions related to the forensic analysis. The appraiser is not acting as a lawyer and should not be expected to research the relevant law or to reach legal conclusions regarding the relevant law. Rather, the appraiser may obtain instructions and directions from counsel on the relevant law and how the relevant law should be interpreted. Counsel may instruct the appraiser as to which approaches and methods are acceptable under the law and which are not. Although it is certainly helpful to be knowledgeable, the appraiser should not be expected to research judicial precedent to determine which approaches and methods are preferred by (or rejected by) the courts. Counsel may also instruct the appraiser on the appropriate rules of evidence. The parties in many disputes, particularly infringement matters, are required to comply with the Federal Rules of Evidence (FRE). This includes appraisers who serve as expert witnesses in these matters. The parties to many disputes, particularly breach of contract claims, must comply with the appropriate state court rules of evidence. In addition to general instructions from the FRE (or the appropriate state evidentiary rules), counsel may instruct the appraiser on the content and format of the expert report. This instruction is not intended to influence the valuation, damages, or transfer price conclusion; such instruction is intended to ensure that the expert report is prepared in compliance with the relevant rules of evidence. Many intellectual property valuations are performed for fair value accounting and financial statement disclosure purposes. On such assignments, the appraiser should be aware of the accounting authority definition of the fair value standard of value. The appraiser should be aware of all of the appropriate accounting authority related to the intellectual property assignment (for example, a combination acquisition accounting valuation or an intangible asset impairment valuation). In such cases, the business appraiser should do more than read the appropriate Financial Accounting Standards Board’s (FASB) Accounting Standards Codification® topic. The appraiser should also recognize that the valuation will be subject to an auditor’s review and, therefore, will be subject to FASB Accounting Staff Positions, Accounting Standards Updates, and other generally accepted accounting principles (GAAP) pronouncements related to the intellectual property assignment. The appraiser is not expected to be a financial accountant. However, if he or she is not sufficiently familiar with the relevant GAAP related to the assignment, then the appraiser should confer with a knowledgeable accounting expert. Intellectual property valuation arises in many international, federal, and state taxation situations. For many of these situations, there are specific statues or regulations, or both, that affect the recognition or valuation of intellectual property. For example, Internal Revenue Code Section 197 determines what intangible assets (including intellectual property) are recognized for a taxable business acquisition purchase price allocation purposes, and Section 197 assigns a 15-year amortization period to each recognized intangible asset, regardless of the actual RUL of that intangible asset. Likewise, the regulations related to Section 482 provide for specific valuation methods related to intangible property (including intellectual property assets). When valuing intellectual property for Section 482 intercompany transfer pricing purposes, the appraiser should apply one of the delineated valuation methods. Otherwise, the value and transfer price conclusion may be rejected by the IRS. The Section 482 regulations provide for a best method rule. Appraisers normally attempt to apply multiple approaches and multiple methods to an intellectual property valuation. When estimating an ALP for Section 482 purposes, however, the appraiser is directed to apply a single best method from among the allowable valuation methods. The appraiser is not expected to be a taxation expert. However, if he or she is not sufficiently familiar with the relevant taxation authority related to the assignment, then the business appraiser should confer with a knowledgeable taxation expert. Depending on the type of intellectual property transaction, the valuation may have to comply with a number of regulatory requirements. These requirements may vary based on the status of the buyer or licensee and the seller or licensor. For example, if one or both of these parties is a publicly traded company (and if the transaction was material), then the valuation may have to be revealed in the party’s public disclosures to the Securities and Exchange Commission. The client (or counsel) should instruct the appraiser if there are any specific valuation analysis disclosure or valuation report content requirements related to a transaction valuation. If the intellectual property will serve as the collateral for either asset-based financing or cash-flow-based financing, the financial institution may have specific analysis requirements and reporting requirements. If the financing transaction is related to a federally regulated financial institution, the valuation may have to be performed (and the valuation report prepared) in accordance with the Uniform Standards of Professional Appraisal Practice. The valuation may also have to meet certain Uniform Commercial Code requirements related to a financing transaction. If the appraiser is aware that the purpose of the valuation relates to a financing transaction, then he or she should inquire as to any specific analysis or report considerations. There are numerous bankruptcy-related reasons to perform an intellectual property valuation, including consideration of the debtor solvency or insolvency prior to the date of the bankruptcy filing, the value of a secured creditor’s intellectual property security interest at different points in time, and the reasonableness of debtor in possession sale or license actions (including creditor protections related to Bankruptcy Code Section 363 asset sales). Most valuations prepared after bankruptcy filing will be reviewed by the Bankruptcy Court. These valuation reports should be prepared so as to comply with the FRE. The appraiser typically provides expert testimony in Bankruptcy Court in support of the opinion. Counsel should provide any additional engagement-specific legal instructions to the appraiser. One of the factors that most directly affects the value conclusion is whether the appraiser values the intellectual property as a single, stand-alone asset or as part of an assemblage of assets. This factor is not directly related to the assignment standard of value because the same standard of value could be applied to the same intellectual property under either transactional scenario. For example, the appraiser could estimate the fair market value for a patent if the patent was sold as a single intellectual property or if the patent was sold as part of a bundle of operating tangible and intangible assets. This factor is only indirectly related to the assignment premise of value. For example, the appraiser could estimate the value of a single, stand-alone patent that is being sold from one going-concern owner/operator to another going-concern owner/operator. At all times, the patent will be in use in a going-concern business enterprise. Its ownership is simply being transferred from the “old” willing seller operator to the “new” willing buyer operator. This factor is not always related to highest and best use (HABU). For example, the HABU of our illustrative patent may be in continued use as part of a going-concern business enterprise. However, the assignment may require that the appraiser value the patent as a single intangible asset on a stand-alone basis. Such an assignment instruction to the appraiser may relate to a valuation performed for ad valorem taxation, eminent domain, debt collateral value, or some other purpose. In order to properly consider this element of the valuation, the appraiser should receive a clear engagement instruction from the client or counsel if there is any uncertainty. The appraiser would expect to conclude a different value estimate based on these alternative transaction scenarios; in other words, the appraiser could reach a different value conclusion if the same intellectual property is analyzed under the same standard of value and the same valuation date. Typically, there would be greater investment risk associated with the purchase as a stand-alone intellectual property compared to the purchase of a bundle of operating business assets that encompass the intellectual property, but that statement is not without exception. It would be an error to assume a value conclusion bias related to the selection of this valuation factor. The value of the patent will not always be lower on a single asset basis compared to on an assemblage of assets basis. The direction of the change in the patent value will be a function of the facts and circumstances of the individual valuation. For example, the interaction of the other tangible or intangible assets in the bundle of assets could actually increase the investment risk and decrease the expected income related to the subject patent. The appraiser should be aware of whether there is any specific assignment-related reason to value the intellectual property as a single asset or as part of an assemblage of assets. If there is such an engagement requirement, that requirement may influence the selection of the appropriate valuation approaches and methods for the analysis. This discussion summarized several principles that directly or indirectly affect the intellectual property valuation; considered the differences in analysis objectives between a valuation, damages analysis, and transfer price study; and described many of the different standards of value related to intellectual property. The various types of ownership interest that could be subject to value, damages, or transfer price analysis were summarized. This discussion also considered the alternative terms of the various ownership interests and focused on the common components of identification. The differences among transactional, notational, and controversy valuations were introduced along with the various types of analysis opinions. The appraiser’s considerations related to accounting, taxation, transaction, financing, and other types of intellectual property valuations were summarized. Finally, the factors considered in the valuation of an intellectual property as a single asset versus as an assemblage of assets were discussed. This article first appeared in the 2013 Third Quarter of Business Appraisal Practice. Robert F. Reilly, CFA, ASA, CPA, CBA, is a managing director in the Chicago office of Willamette Management Associates, a valuation consulting, economic analysis, and financial advisory services firm. Mr. Reilly can be reached at rfreilly@willamette.com.